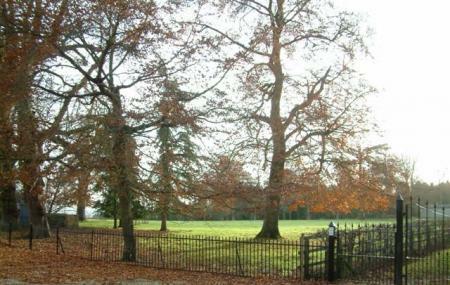 Bletchingdon Park refers to a medieval manor house. It was built around 1630 by Sir Thomas Coghill. What stands before you today is the Palladian country house built around 1782 for the 5th Earl of Anglesey named Arthur Annesley. The ancient manor was defended by 200 Royalist troops during the Civil War and stands witness to some important historical moments. Visit this place if you have some free time to view the age-old manor. Try the best Bletchingdon trip planner to visit this Bletchingdon Park as well as many others. Oomph up your visit by adding the best hotels in Bletchingdon like Harris Guesthouse, The Sportsview Guest House and Old Black Horse Inn. If you want to add the visit to Bletchingdon Park in your trip, you can choose from the variety of Bletchingdon vacation packages that can be designed to suit your preferences. These packages also cover your major concern of how to reach Bletchingdon. Bus 25A to stop - Blacks Head Inn PH. Love this? Explore the entire list of places to visit in Bletchingdon before you plan your trip. Fancy a good night's sleep after a tiring day? Check out where to stay in Bletchingdon and book an accommodation of your choice.